Did you know “Take Me Out to the Ball Game” ranks as the most frequently played song in America after “Happy Birthday” and the “Star Spangled Banner”? And were you aware that a Jewish writer composed the anthem? Impress your sports aficionado friends with his name, Albert Von Tilzer, at your next cocktail party. 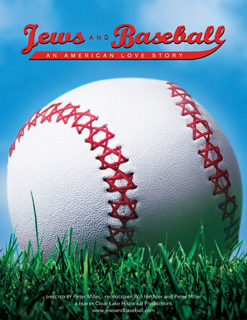 The Jewish love affair with baseball is detailed in the new documentary Jews and Baseball: An American Love Story (Clear Lake Historical Productions). Written by Ira Berkow, directed by Peter Miller, and narrated by Dustin Hoffman, the film chronicles the impact of Jewish players on the sport and the sport’s impact on American Jews. The film is being released with screenings around the world, including in Chicago this spring and summer. The Anti-Defamation League will present the Chicago premiere of Jews and Baseball on Thursday, April 14, at 6 pm at the Spertus Institute of Jewish Studies in Chicago. Berkow, a Pulitzer Prize winner and former New York Times sports columnist, will speak following the screening. The film will also be screened followed by a softball game at the Holiday Star Theater in Park Forest on Sunday, July 10. Ever since Jews reached the American shores in droves around the turn of the 19th century, we’ve been addicted to America’s great pastime. Back when Jews were considered the “other,” striving to assimilate into society, the baseball field was the great equalizer. When slugger Hank Greenberg emerged as the first Jewish superstar in the 1930s, American Jews rejoiced. Then in 1965, every Jewish kid and parent alike kvelled when Sandy Koufax opted not to pitch in Game One of the World Series because it fell on the holiest day of the Jewish calendar. The film—chock full of game footage, vintage newsreels, and archival and new interviews with players, fans including Larry King and Ron Howard, and historians—documents contributions of Jewish players, from Lipman Pike to Moe Berg, Greenberg, Al Rosen, Koufax, Adam Greenberg, Shawn Green, and Kevin Youkilis, spanning the history of the game. In a rare interview, Hall of Fame pitcher Koufax agreed to be interviewed in the documentary. A poignant moment of the film follows ball player Adam Greenberg, who continues his attempt to return to the majors after being hit in the head in his first and only Major League appearance with the Chicago Cubs in 2005. Tickets for the Chicago premiere of “Jews and Baseball” at the Spertus Institute of Jewish Studies on Thursday, April 14, at 6 p.m. are available at www.adl.org/jewsandbaseball. 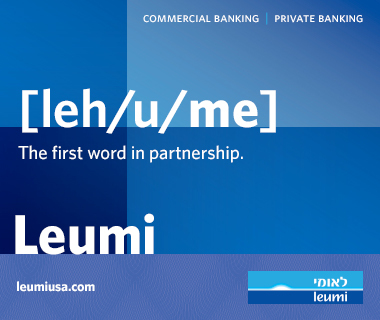 For information call Elana Stern at (312) 782-5080, ext. 254. “Jews and Baseball” will also be shown in the South Suburbs this summer on Sunday morning, July 10 at the Holiday Star Theater at 340 Main Street in Park Forest. After the show, there will be a community event including a 3-inning softball game at Park Forest's Central Park on Field D. For more information, call (708) 798-1884, email david.m.epstein@earthlink.net, or visit www.c-j-c.org/.